Editor’s note: SDS is ranking the 25 best SEC players — at any position — of the last decade. 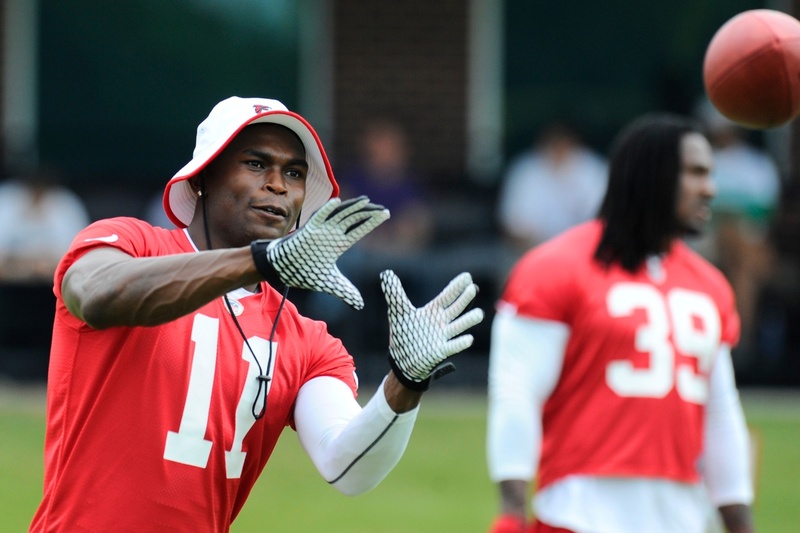 Alabama WR Julio Jones is next up in a 25-part daily series. The No. 1 wide receiver in the nation in 2008, Julio Jones was a consensus five-star player from Foley, Ala. When he committed to Alabama on National Signing Day, the Crimson Tide fan base rejoiced. 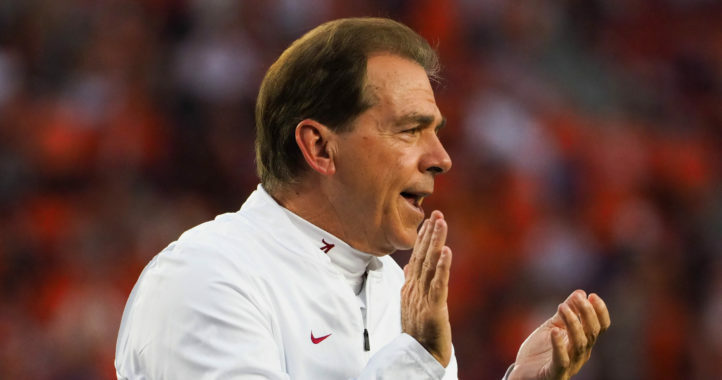 Nick Saban had only been in Tuscaloosa for 13 months, and he’d scrambled to put together the ’07 recruiting class before leading the team to a 7-6 record. When Jones chose ‘Bama, he became the gem of the recruiting class that many instantly believed marked the turning point for a storied program that had gone 16 years without a national championship. History proved that correct, as Jones led a heralded class that included Mark Barron, Courtney Upshaw, Barrett Jones, Marcell Dareus, Mark Ingram, Dont’a Hightower, Terrence Cody and Robert Lester, among others. Many felt the Tide would compete for an SEC title by 2009, but Jones caught a touchdown pass at Clemson in his first game as a true freshman, and then three more before the end of September. Then he pasted Tennessee, LSU and Florida for more than 100 yards, all away from Tuscaloosa. 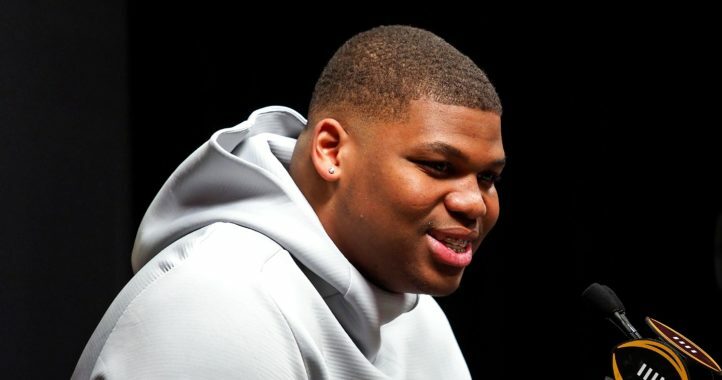 The 6-foot-3, 220-pound man-child already was at his NFL playing weight as a true freshman, drawing comparisons to Michael Irvin and Larry Fitzgerald as the Tide won its first 12 games before losing in the SEC championship as a surprise participant to a loaded eventual national championship Florida team. Jones was not healthy during the first part of the ’09 season, though he missed just one game against North Texas. On Oct. 17, 2009, South Carolina became the only team to hold him without a catch in his college career. The next week he re-emerged with seven catches against Tennessee, then topped 100 yards against LSU. He also converted three huge third downs on an 80-yard touchdown drive to beat Auburn in the fourth quarter. Playing at less than 100 percent much of the year, dealing with constant double teams, Jones remained the team’s leading receiver, providing just enough of a threat in the passing game to go along with a tremendous defense and a Heisman-winning running back. The Tide won the ’09 national championship as a result, the team’s first since coach Gene Stallings upset Miami on Jan. 1, 1993. As a junior, Jones performed his best on the road. He also caught 10 passes for 199 yards in a crushing 28-27 loss to eventual national champion Auburn, led by Cam Newton. He finished the season with 1,133 yards, catching 40 more passes than the Tide’s second-leading receiver. Jones’ numbers at Alabama were good, but they don’t tell the entire story. Jones is a symbol of the arrival of the Saban era in Tuscaloosa, and opened the floodgates for the team in recruiting. He was the most NFL-ready offensive skill player at Alabama as a freshman, and when he was on the field he commanded more attention than perhaps any receiver that played for the Tide, including Amari Cooper. Facing constant double-teams and bracket coverage his entire career, Jones used his surprising speed (he ran 4.39 at the Combine with a stress fracture in his foot) and grown-man athleticism to overwhelm SEC defensive backs. He constantly bailed out quarterback Greg McElroy and AJ McCarron on third-and-long. When he caught the ball, it often took two or three players to put him on the ground. His stiff-arm compared to a pro running back, and he often ran away from the fastest defensive backs at LSU after making catches. He also was one of the best blockers in the country from the receiver position, playing a big role in the Alabama running game. Career numbers: Started 40 games in three years. Caught 179 passes for 2,653 yards and 15 touchdowns. Individual superlatives: 2008 — Second-team All-SEC, SEC Freshman of the Year, freshman All-American; 2009 — Second-team All-SEC (coaches); 2010 — First-team All-SEC. NFL draft: No. 6 overall to the Atlanta Falcons in 2011. He just isn’t better than Amari Cooper. Cooper has better hands and runs better routes. Jones and Cooper are both underrated at #10 and #11. Easily the two best players Alabama has had, and Alabama has easily been the most star-studded team of the decade. Something doesn’t compute here. They don’t want too much “Bama” in the list.